Another surreal photo shoot by artist Andrew Robert Baines at Henley Beach. 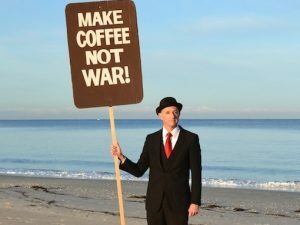 Meet at Henley Square (Northern Lawn), 8am for a march to Joe’s Kiosk – dress in black, bowler hatted if poss. Sign is optional. AND!!! 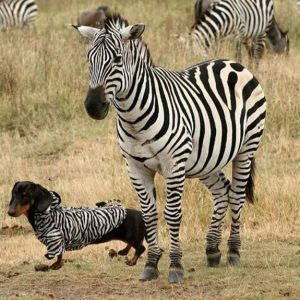 If you can round up a Dachshund or two bring them along – wearing a zebra suit. (Yes, you read correctly, dachshunds in zebra suits).